The Dickinson Research Extension Center was established in 1905 by the North Dakota legislature to research and report on agriculture methods that are sensible, appear sustainable, and advance stewardship. The Center’s goal is to engage in scientific research that achieves solutions. For the last five years, North Dakota State University’s Dickinson Research and Extension Center has been turning its bulls out in August for May calving. The reasons? May calving weather is nicer, the calves hit the ground to take advantage of the annual plant cycle, and best of all, it’s good for the bottom line. 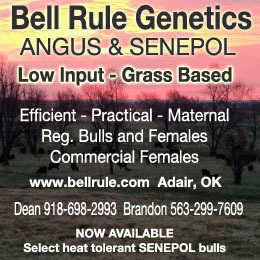 And so, the bull turnout is Aug. 1 for a targeted calving start date of May 12. 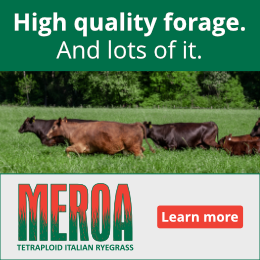 Grass turnout to cool-season grass is around May 1, with warm-season grasses ready for grazing around June 1. In the fall, these cow-calf pairs convert well to grazing crop residue, standing corn and cover crops as the perennial grasses start to prepare for winter. May/June calves are not as heavy as their March/April counterparts were at weaning. But average daily gains remain the same and the adjusted 205-day weight for both groups was very similar with March-born calves at 640 pounds and the May-born calves at 639 pounds. To make up for changes in the weaning weights, the Center is now considering a December weaning time for the May born calves. The center has been running two herds for the last few years. With their new calving date in place, the Center decided to compare production on grass and in feedlot. Half the calves were turned out to grass as 780 pound yearlings and the other halve were sent to the feedlot. If you’re considering making this change next year, you might spend the time between now and then reading and studying up a bit and considering obstacles you might encounter so that you can think up ways to get around them. 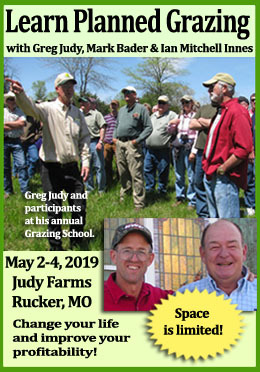 Look for holistic management courses in your area. (And if you’re an organizer of workshops, let us know so we can post them on our Events Calendar.) Send us questions you have about making the switch and we’ll find answers for you. Finally, if you’ve had experiences with changing calving dates that you’d like to share, you can add them in the comments below, or send us a note and we can chat about putting together an article with you. How Does Stress Spread Through Your Herd? It’s the PEE!